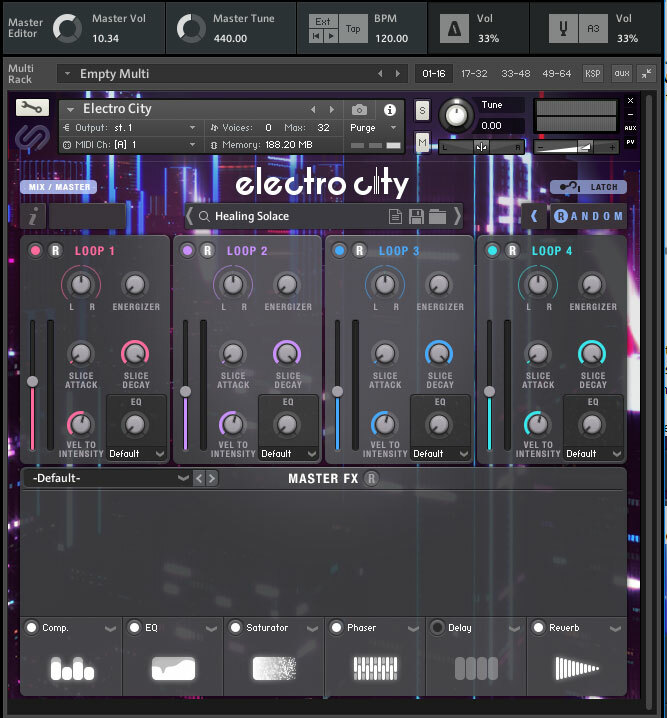 Electro City is a phenomenally powerful loop construction and playback instrument for Native Instruments’ Kontakt. 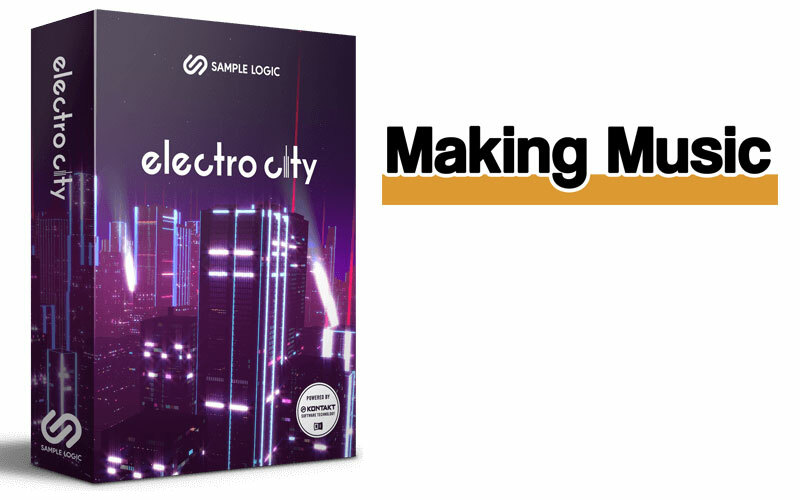 Electro City – what is it? 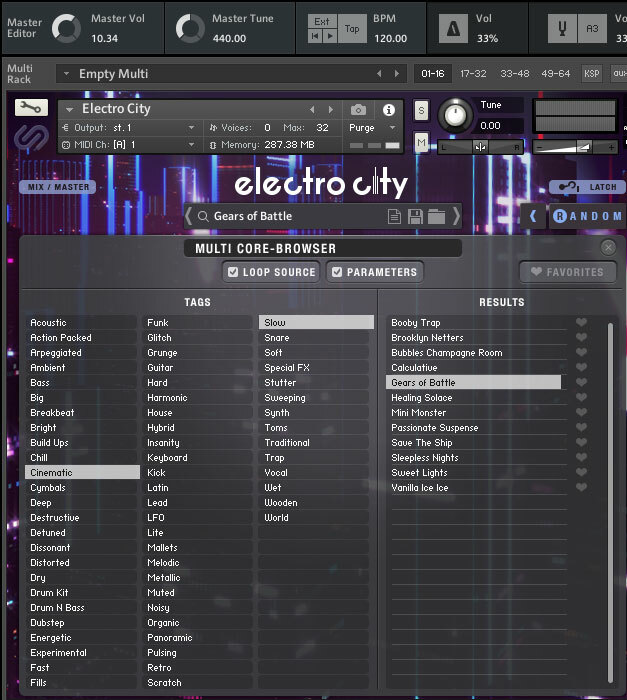 Electro City runs in Native Instruments’ Kontakt sample player; the free or the full version, and requires version 5.6.8 or higher. It uses 1.75Gb of hard disk space which isn’t a lot for a sample library these days, and especially not for the vast range of sounds this instrument can produce. 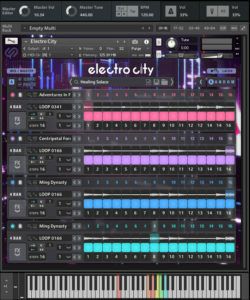 Electro City is essentially a massive loop creation and arranging instrument. 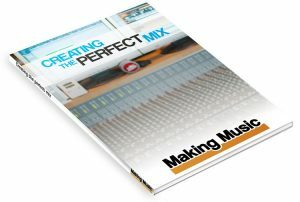 It comes with over 1000 loops and over 1800 presets but the arranging and combination options are almost limitless. 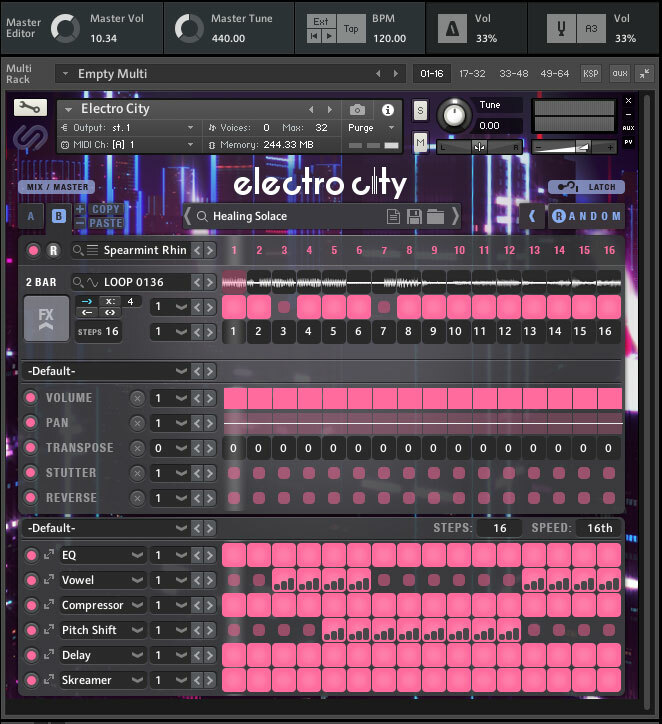 For Native Instrument users, Electro City is NKS- and Maschine-compatible which gives a little extra functionality. Electro City is based on Sample Logic’s Rhythmology engine so if you’ve used that you’ll be familiar with the interface. If you haven’t, don’t worry, it’s easy. It consists of only one instrument from which you access all the presets and settings. The main screen shows four ‘cores’ which can each hold a different sample loop. You can switch them on and off so you can use as many or as few cores as you like. Each core splits the loop into 16 segments or steps which the program, er, steps through on playback. You can mute individual steps, make one step play a different step, apply effects to individual steps (or the whole loop, of course), change the number of times the loop plays, reverse the playback order of a loop or set up forward/backward play. First stop is the presets. They are divided into several categories such as Acoustic, Ambient, Chill, Cinematic, Deep, Destructive, Dubstep, Fast and so on. There are then Tags to help find the sound you’re after. 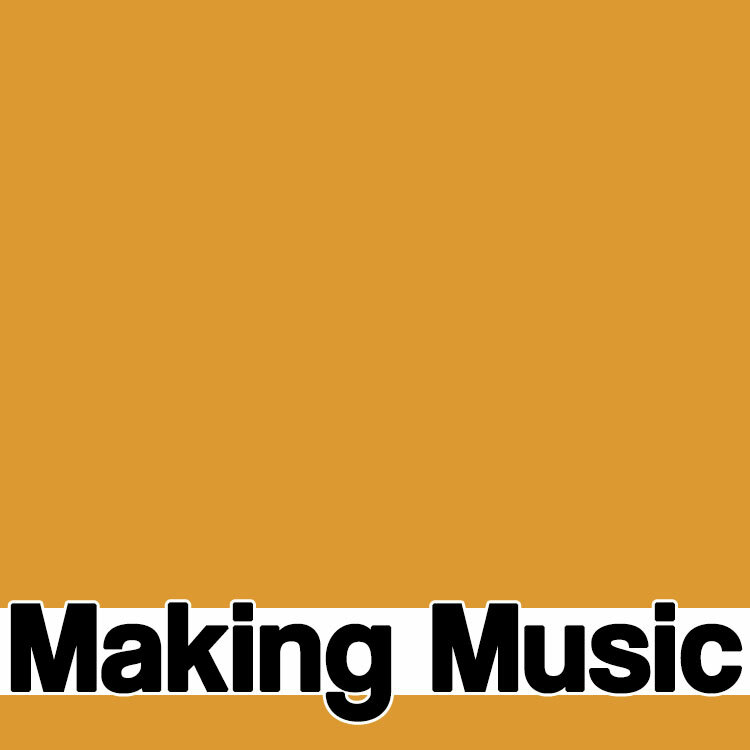 These include Funk, Glitch, Guitar, Hard, Lead, LFO, Trap, Soft and so on. And finally you get the presets. The presets are complete settings for an instrument which can use up to all four cores. So let’s try a few. First impression is that they are sharp and clean. There’s no muddiness which you sometimes hear when combining loops. And they are, what can you say, interesting, exciting, inspiring! This, however, is just the beginning. Cores have their own presets which include step and effects settings and you can load different presets into any of the cores. You can also assign one of the 1010 loops to each core. Each pattern can have up to four playback pages or settings which means you can adjust each of the loop patterns to create different variations of the pattern, for example. Nice. The built-in browser is easy to use and navigate and you can set presets as favourites so they are easy to find later. As you experiment with various combinations of loops and effects, you’ll come to know that just about every combination sounds good! Of course, you can totally marmalise the rhythms but the loops themselves fit together in an almost-extraordinary way. The Browser showing the categories on the left, the tags in the middle and the loops on the far right. Each core can be randomised – or not – and you can select which options you want to be randomised from parameters such as volume, pan, loop source, loop steps, loop pattern and various effects. So you have to try them all, don’t you? That’s a rhetorical question. Anyone who has played with any sort of random generator will be shaking their head. No, this does not produce many good patterns but you knew that anyway. If you restrict randomisation to Loop Source and Loop Core then virtually every click will produce a new, useable loop (depending on what genre you’re after). From there you can randomise other parameters and see how you go. Another way to use it is to randomise just one core at a time. Or, if you have a pattern you like but want to tweak, then randomise some of the effects settings. There’s a whole day gone just doing this. There are two effects pages. Each core has its own set of effects and there is also a Master FX section. The core effects comprise two sections. The first is labelled Static and includes Volume, Pan, Transpose, Stutter and Reverse. Here you can set up values for each step to create moving volume or pan effects. There are also several presets which set values for all five parameters together. In addition, each parameter has 20 presets so the possibilities here are vast. The second section is labelled Dynamic and has six slots into which you can load one of over 20 effects types such as Daft LP, Formant, Vowel, EQ, Saturator, Rotator, Delay, Chorus, Flanger, Reverb, Transient and so on. As you may now have come to expect, each of the effects has one of 20 settings. You can also adjust the speed or step resolution of each step from 64th to 4 bars. And if you like getting deep and dirty and down into the nitty gritty, you can create what the program calls animation which is a series of adjustments to the effects settings which change as the loop plays back. The Master FX and Mix section contains mini faders and settings for each core so you can balance them and apply effect such as volume, pan, EQ, attack, decay and energize. Global effects include Compression, EQ, Saturator, Phaser, Delay and Reverb. They all, of course, come with ready-to-go presets. As you are essentially triggering sample loops, there are no tunes to play as such. The keyboard mapping lets you play all four cores together or individually. You can, therefore, play any combination of the four cores at the same time. On a Native Instruments’ KS Keyboard and running Komplete Kontrol, the keys are highlighted by colour. The playback pages are selected by a set of keys an octave lower than the trigger keys. Some, but not all, of the factory presets have more than one page. Using these triggers, a well-organised set could be constructed for live play or even for recording into a sequencer. 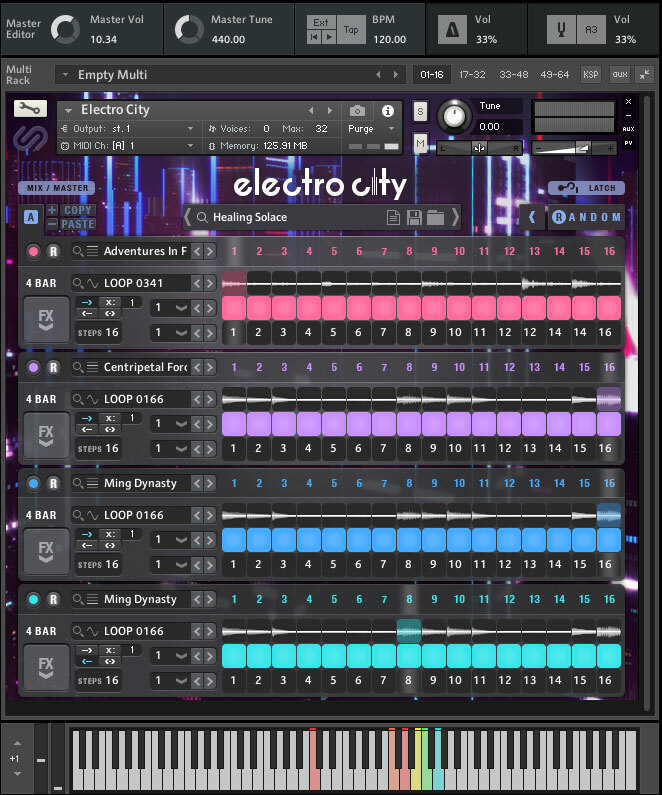 Electro City is heavily geared towards electronic music production and will appeal to musicians working in a vast range of EDM styles. 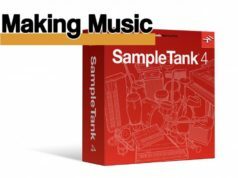 It can be used in other styles of music as long as they’re happy with loops – it is a loop construction kit, after all. It’s a superb instrument for loop production. It takes the chore out of combining and processing loops to create useable patterns and it does it with style. You can use it at a click-n-go level very successfully, or highly customise the loops to give them your own stamp. If music is fun, Electro City is certainly that! Every preset, every click brings a new pattern that inspires creation. 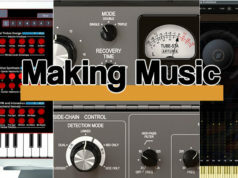 It’s state-of-the-art loop production tool and you’ll definitely want it!